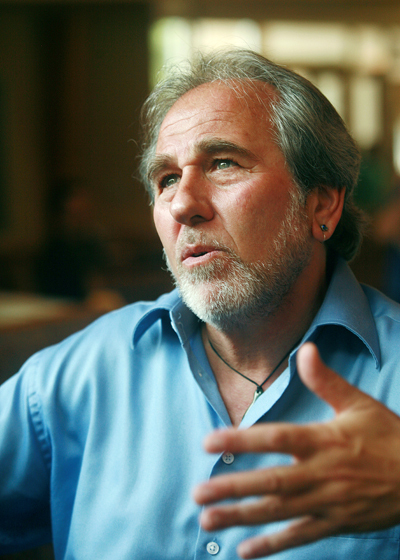 Several years ago someone in my book club suggested that we read “The Biology of Belief” by Bruce Lipton. It turned out to be a life-changing event. The book had such an huge impact on me that I excitedly wrote a letter to Mr. Lipton congratulating him on his discoveries and his courage to bring his ideas forth to the scientific community – a community that doesn’t accept change lightly. I’ve never done that for any other author. 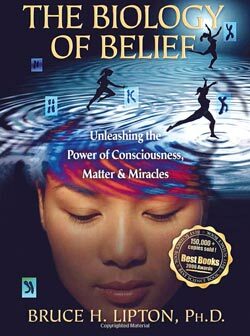 He had introduced me to a new field of science called “Epigenetics,” a deeper level of science that blew the lid off all that we had previously learned about genetics, including our firm beliefs of how our genes control our behaviour and traits. When I first read the book, epigenetics seemed like an off-Broadway type of science that had a few enthusiastic followers, but probably wasn’t going to go anywhere. These radical views were far too outrageous for mainstream science to ever embrace. 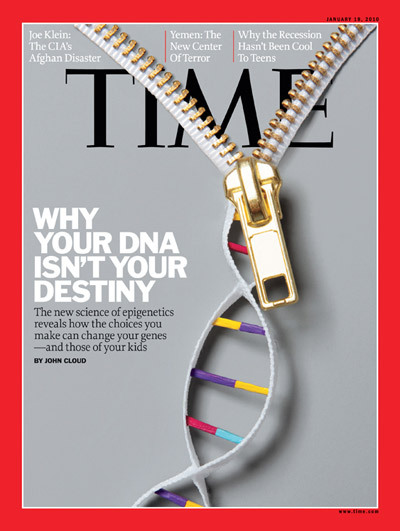 BUt, here we are, many years later, and Epigenetics IS the new science. 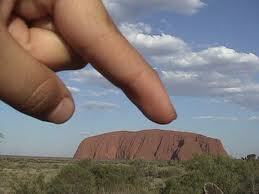 Its popularity is SOARING around the globe! The new possibilities that it offers to fight diseases, including Restless Legs Syndrome, are unlimited. 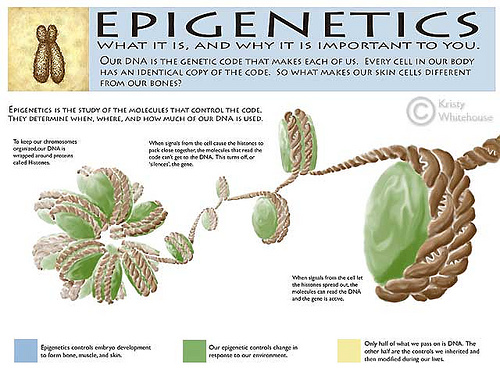 As you can see from the above graphics, epigenetics is front page news for dozens of magazines and journals. 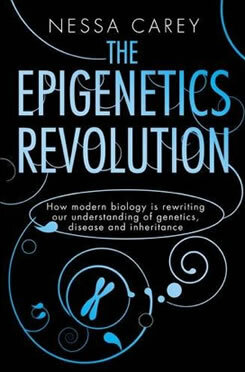 There are also a growing number of books on epigenetics being published. To hold on to the old ideas about genetics is like holding on to the idea that the earth is flat. The old genetics we held so tightly to is officially dead. It’s time to move on. 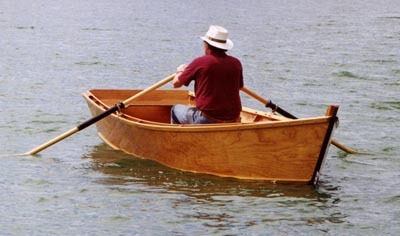 Epigenetics is to genetics … as a jet aircraft is to a rowboat. “Our health is not controlled by genetics. Conventional medicine is operating from an archaic view that we’re controlled by genes. This misunderstands the nature of how biology works. Medicine does miracles, but it’s limited to trauma. The AMA protocol is to regard our physical body like a machine, in the same way that an auto mechanic regards a car. When the parts break, you replace them—a transplant, synthetic joints, and so on—and those are medical miracles. The problem is that while they have an understanding that the mechanism isn’t working, they’re blaming the vehicle for what went wrong. They believe that the vehicle, in this case our bodies, is controlled by genes. But guess what? They don’t take into consideration that there’s actually a driver in that car. The new science, epigenetics, reveals that the vehicles—or the genes—aren’t responsible for the breakdown. It’s the driver. There is a common prognosis that medical professionals tend to use. It’s a SINGLE WORD that brings in countless BILLIONS of dollars to pharmaceutical companies each year. People with chronic ailments can no longer use genetics as an excuse to NOT take action to lessen their condition. The old belief that an “inherited condition” is unchangeable is no longer supported by science. This certainly applies to those with Restless Legs Syndrome. The excuse to not take action because it’s your mother or father’s fault that you have the “RLS gene” – and there’s nothing you can do about it, is not an option anymore. 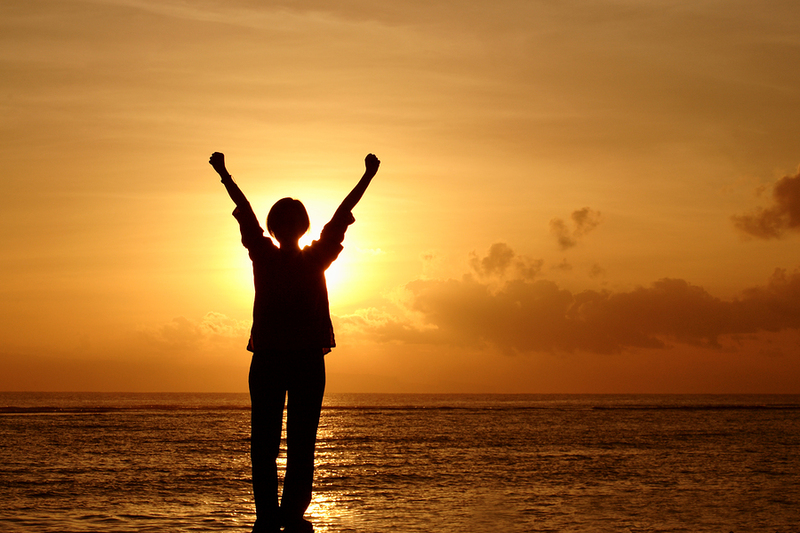 In fact, researchers in the field of epigenetics insist that you DO take action. That’s how the switches on your genes are changed for the better. Epigenetics has blown the roof off the limitations of the human genome and through it shines a brilliant light of hope that THOUSANDS of scientists are recognizing and acting on. Researchers around the world are scrambling with a childlike enthusiasm in order to tap into the giant universe of possibilities that epigenetics has brought forth. As a Restless Legs sufferer, the information you’ll read in these posts about epigenetics should help lessen the hopelessness of your condition. 1. You will no longer be chained to the belief that RLS is genetic and that you’re STUCK with it. 2. You may realize that RLS is NOT incurable when you learn how a simple diet can be used to switch helpful genes “ON” and harmful genes “OFF”. As you will read below, the science of epigenetics IS exploding onto the scene. And with that explosion comes a powerful new awareness that is freeing our minds and spirits as it continues to debunk the old myth that we are “stuck” with the genes that were passed on to us, including the genes that cause RLS. And we’re only at the beginning. Hope has arrived! Isn’t our genetic legacy hardwired? The word literally means “on top of genetics,” and it’s the study of how individual genes can be activated or deactivated by life experiences. Each one of our cells, from skin cells to neurons, contains an identical DNA blueprint, yet they perform vastly different functions. That’s because epigenetic “tags” block developing fetal cells from following any genetic instructions that don’t pertain to their intended roles. That biochemical process, scientists have discovered, occurs not just during gestation and early development but throughout adulthood, switching genes on or off and altering our mental and physical health. We’re only beginning to find out. 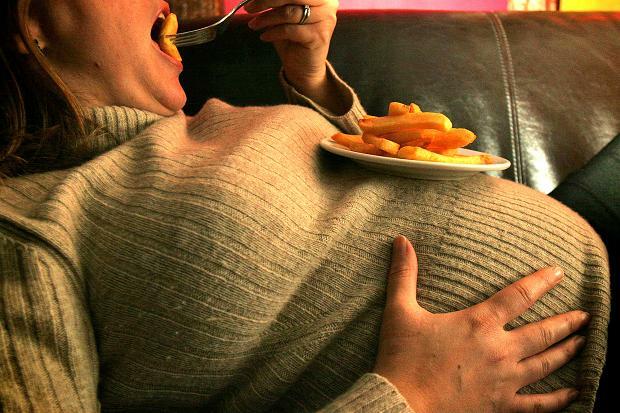 A woman’s diet during pregnancy seems to have a major impact on her baby’s epigenetic tags. Prenatal diets that are low in folic acid, vitamin B-12, and other nutrients containing “methyl groups” — a set of molecules that can tag genes and cause epigenetic changes — have been linked to an increased risk of asthma and brain and spinal cord defects in children. Stress, too, can alter fetal epigenetic tags. Pregnant women who were traumatized at the World Trade Center on 9/11 were far more likely than other women to give birth to infants who reacted with unusual levels of fear and stress when faced with loud noises, unfamiliar people, or new foods. 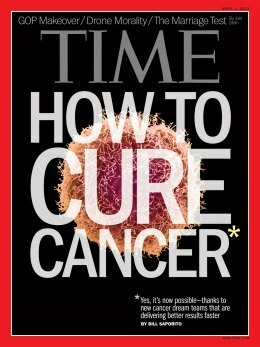 “There’s a revolution sweeping biology today — begrudged by a few, but accepted by more and more biologists — that is changing scientific thinking about the way genes work, the way diseases arise and the way some of the most dreadful among them, including cancer, might be diagnosed and treated. This revolution is called epigenetics, and it is not only beginning to explain some of the biological mysteries that deepened with the Human Genome Project. Because of a series of accidental events, it is already prolonging the lives of human patients with deadly diseases. 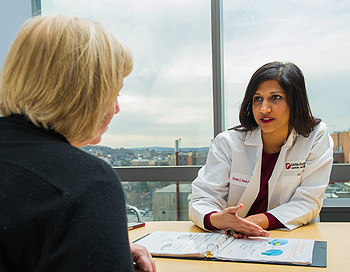 Over the past several years, and largely without much public notice, physicians have reported success using epigenetic therapies against cancers of the blood and have even made progress against intractable solid-tumor malignancies like lung cancer. The story is still preliminary and unfolding (dozens of clinical trials using epigenetic drugs are currently underway), but Dr. Margaret Foti, chief executive officer of the American Association for Cancer Research, recently noted that epigenetics is already resulting in “significant improvements” in cancer diagnosis and therapy. “It’s really coming into its own now,” she said. Leaping on the bandwagon, the National Institutes of Health made epigenetics the focus of one of its cutting-edge “Roadmap” initiatives announced last fall. 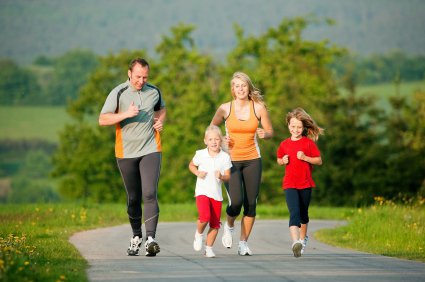 “Many of us think that we are doomed to a life of obesity or disease because of our genes. The truth is, we may be more genetically predisposed to certain metabolic conditions or disease states, but that does not mean there are not things we can do to alter this gene expression. The idea that our genes react to environmental and internal stimuli is referred to as epigenetics. Our genetic code is wrapped up into our DNA and paired into 23 sets of chromosomes. The DNA then wraps itself around alkaline proteins called histones. These histones then give the DNA structure. These newly formed structures are referred to as nucleosomes. On the outside of these histones are chemical messengers that listen for cues from the environment and from our internal systems. This whole structure is known as the epigenome. When the chemical messengers receive a stimuli, they will react by tightening themselves around certain genes to make them inactive so that they cannot be read by other cells. On the other hand they will relax themselves around other genes so that they are easily accessible. Our DNA we are stuck with, but our gene expression can be altered. 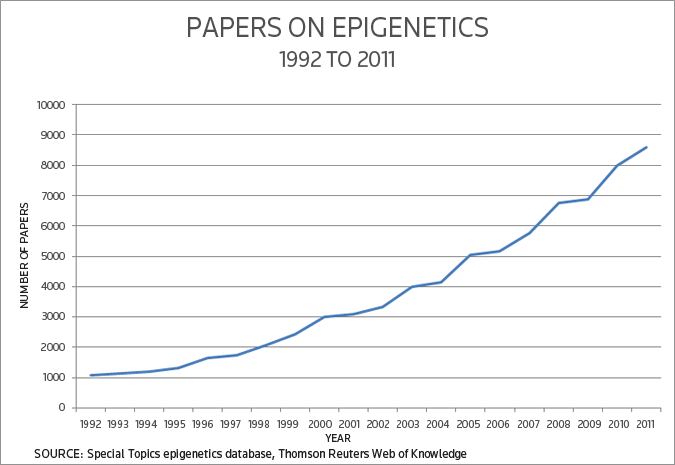 “Over a 20-year period, there has been an eight-fold increase of papers on epigenetics from just over 1,000 papers in 1992 to more than 8,500 in 2011. “Once nurture seemed clearly distinct from nature. Now it appears that our diets and lifestyles can change the expression of our genes. How? By influencing a network of chemical switches within our cells collectively known as the epigenome. This new understanding may lead us to potent new medical therapies. Epigenetic cancer therapy, for one, already seems to be yielding promising results. “Epigenetic tags act as a kind of cellular memory. A cell’s epigenetic profile — a collection of tags that tell genes whether to be on or off — is the sum of the signals it has received during its lifetime. “In a pathbreaking paper, researchers at the Johns Hopkins University School of Medicine and the Karolinska Institute in Sweden report a way to evaluate one gene-regulation system: chemical tags that tell genes to be active or not. Their test case was of patients with rheumatoid arthritis, a crippling autoimmune disease that affects 1.5 million Americans. Researchers know a gene will remain stable, but the chemical tags that turn the genes on and off are not so reliable. Their presence can be affected by the environment or medications or even the activity of other, distant genes. They can be a consequence of a disease or set off a disease. The researchers reported measurement techniques that enabled them to sort things out. They found hundreds of chemical tags but only four that seemed truly related to the disease. 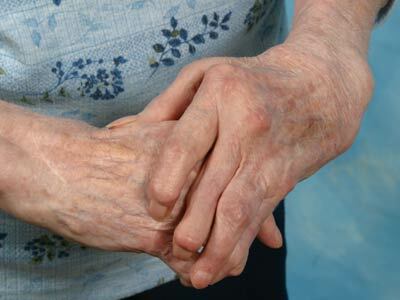 Those four were in a cluster of genes that controls the immune response and that was known to affect the risk of rheumatoid arthritis, said Dr. Andrew Feinberg of Johns Hopkins, a lead author of the study. In particular, the tags were in a gene called C6orf10 whose function is unknown. “Two mice. One weighs 20 grams and has brown fur. The other is a hefty 60 grams with yellow fur and is prone to diabetes and cancer. They’re identical twins, with identical DNA. So what accounts for the differences? It turns out that their varying traits are controlled by a mediator between nature and nurture known as epigenetics. A group of molecules that sit atop our DNA, the epigenome tells genes when to turn on and off. A growing body of research has some scientists rethinking humans’ genetic destinies. Is our hereditary fate — bipolar disorder or cancer at age 70, for example — sealed upon the formation of our double helices, or are there things we can do to change it? Are we recipients of our DNA, or caretakers of it? 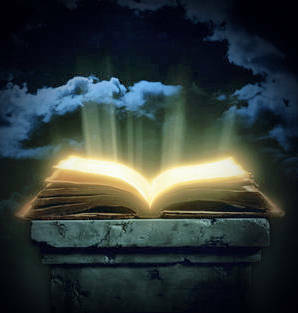 “The difference between genetics and epigenetics can be compared to the difference between writing and reading a book. Once a book is written the text (genes or DNA sequence) will be the same in all copies distributed to the audience. However, each individual reader of a book may interpret the story slightly differently, with varying emotions and projections. “For decades, we have stumbled around massive Darwinian roadblocks. DNA, we thought, was an ironclad code that we and our children and their children had to live by. Now we can imagine a world in which we can tinker with DNA, bend it to our will. Epigenetic “malleability” helps to explain why identical twins become distinct as they age. As you age, your genome does not change but your epigenome changes dramatically, especially during critical periods of life, such as adolescence. It is influenced by physical and emotional stresses — how you respond to everything that happens in your environment, from climate change to childhood abuse. You do not manifest disease merely by a defective gene, but by your epigenome. In other words, whether or not you develop disease is determined by how your genome is being directed to express itself. There are also “master genes” that can switch on and off clusters of other genes. Scientists have discovered it is easier to make epigenetic changes than to fix damaged genes. Your epigenome is easier to mess up — but it’s also easier to fix. That’s good news — you aren’t doomed by bad genes! “Ten years ago, when researchers completed the first map of all the genes of human beings, the immense undertaking promised to revolutionize the field of molecular medicine. It did, but something was still missing. “By sequencing the 3 billion chemical base pairs that make up human DNA, scientists were able to glean new information about genes and how they are expressed. Yet there were hints that something else might be controlling which genes are turned on and off” said Jean-Pierre Issa, director of the Fels Institute for Cancer Research and professor of molecular biology at Temple University in Philadelphia. 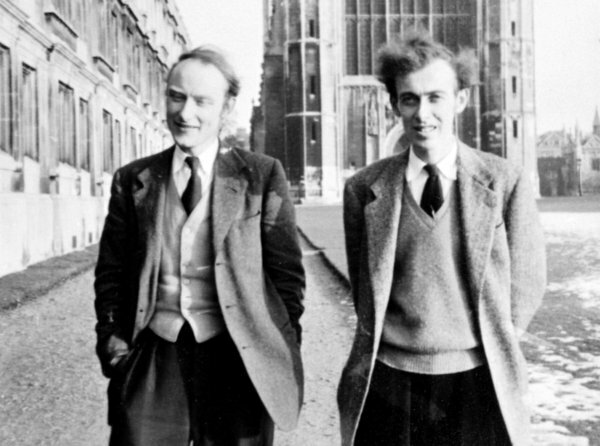 In the 1950s, an English developmental biologist named Conrad Waddington suggested that something was working on top of the DNA sequence to modulate gene expression. Scientists who advanced Waddington’s hypothesis began investigating whether experiences or a person’s environment could trigger genetic changes. This work came to be known as epigenetics, and it suggested that human development was not completely hardwired in DNA. from “Phenocopies in families with essential tremor and restless legs syndrome challenge Mendelian laws. Epigenetics might provide answers.” by Zimprich A. Parkinsonism Relat Disord. 2012 Jul;18(6):711-6. doi: 10.1016/j.parkreldis.2012.03.019. “One of the primary goals of genetics over the past decade has been to understand human health and disease in terms of differences in DNA from person to person. But even a relatively straightforward trait such as height has resisted attempts to reduce it to a particular combination of genes. In light of this shortcoming, some investigators see room for an increased focus on an alternative explanation for heritable traits: epigenetics, the molecular processes that control a gene’s potential to act. Evidence now suggests that epigenetics can lead to inherited forms of obesity and cancer. Are your genes turned on? The implications and applications of epigenetics reach even farther. 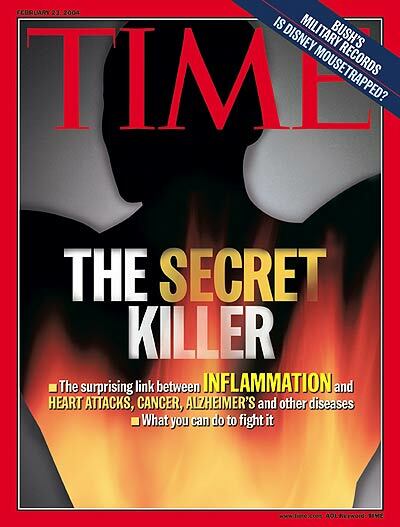 As a society we are faced with an epidemic of chronic inflammation. Epigenetics’ role in lessening this condition is of the highest interest to restless legs sufferers. Scientists have reached a level where the “cause” of diseases can actually be determined and altered. Unfortunately, at this time, RLS is not a high priority for researchers when it comes to tapping into the vast healing powers of epigenetics. Obviously, cancer is at the top of the list. It is followed by other heavy-hitters such as Alzeimer’s, depression, obesity etc. But that’s still good news for you. Cancer and RLS have something in common – they are both deeply connected to inflammation. Therefore, whatever switches are discovered that lessen the inflammation involved with cancer, could also be of help to RLS sufferers. In other words, people with inflammatory diseases other than cancer, such as RLS, could still benefit from any major discoveries made in epigenetic cancer research. 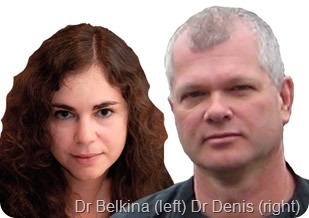 “Inflammation and epigenetics: an interview with Dr Belkina and Dr Denis, Boston University School of Medicine.” Interview conducted by April Cashin-Garbutt, BA Hons (Cantab). Published on March 28, 2013. “What diseases are associated with inflammation? Inflammation can be thought of as taking two major forms: acute or chronic. Acute inflammation, which can be painful, usually arises quickly and resolves quickly. 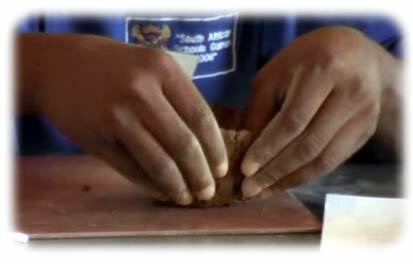 It accompanies bacterial infections, traumatic injury and is useful to fight infections and promote healing. But unresolved, severe, acute inflammation can be fatal, such as acute respiratory distress syndrome or influenza, where the lungs develop edema; or sepsis, where ‘cytokine storms’ cause organ damage and shock. Chronic inflammation is a low-grade form that fails to resolve and can persist over years. Cardiovascular disease, insulin resistance, Type 2 diabetes are good examples; this inflammation is often not acutely painful in a way that might warn the sufferer. 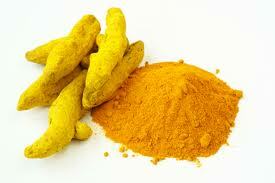 Its subtle nature renders it dangerous, and associated with sudden death due to cardiac arrest or stroke. Chronic inflammation can be a serious problem in older, obese humans and has been linked to obesity-associated cancer. What are macrophages and how do they cause inflammation? Macrophages differentiate from blood monocytes, they are recruited to different organs in response to signals called chemokines; or they permanently reside in tissues, and so are called ‘resident macrophages’. These cells produce small proteins called cytokines that promote inflammation in the tissue or help with wound healing, tissue remodelling or other kinds of housekeeping. In acute and chronic inflammatory diseases, the net output of inflammatory cytokines results in organ dysfunction, pain, deteriorating health and even cellular death. How can genetically identical cells express their genes differently without DNA sequence changes? The controlling regions of genes, called ‘promoters’ or ‘enhancers’ are packaged into chromatin, which can be permanently marked by epigenetic ‘writer’ enzymes, such as histone acetylases, and read in daughter cells by ‘reader’ proteins, such as bromodomain proteins. These marks can dramatically affect gene expression in otherwise genetically identical cells. DNA itself can be marked by epigenetic writer enzymes, such as DNA methylases, and read by yet other proteins to change gene expression. Yet in none of these cases has the DNA been mutated or the genetic sequences altered; so that daughter cells can have very different gene expression, yet be genetically identical. What epigenetic mechanisms did your research into inflammation identify? We found that the BET family of double bromodomain-containing ‘reader’ proteins is essential for transcriptional regulation of a broad array of genes that produce inflammatory cytokines. We found that one BET protein in particular, Brd2, is a ‘master regulator’ of many different inflammatory cytokine genes. Thus, if one inhibits this master regulator of inflammation, it’s like throwing a bucket of cold water on the inflammatory fire. How did your research into the epigenetic mechanisms that connect diseases associated with inflammation originate? We had been studying Brd2 for many years, and knew that high level expression of Brd2 and other BET family proteins causes cancer. We expected that when we deleted Brd2 in mice that they would not be viable, but got a huge shock when not only did they live, but they became obese. We experienced an even bigger shock when we found that they did not develop glucose intolerance or insulin resistance, despite their incredible obesity, which was the human equivalent of 600 pounds. We discovered that their reduced inflammatory profile, brought about by low Brd2 levels, rather than zero Brd2 levels, paradoxically kept them alive, made them fat, and protected their metabolism from inflammatory complications. 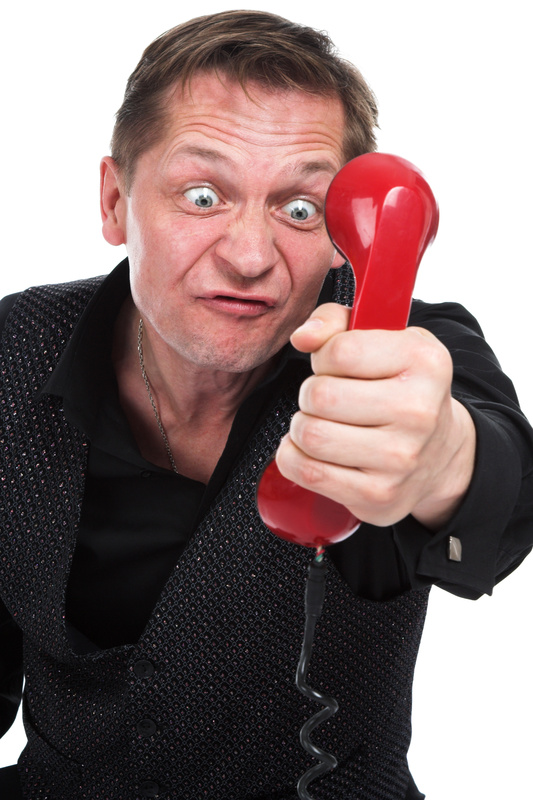 There are humans like this, e.g., ‘metabolically healthy obese’ patients who actually perplex their physicians because, although they may be severely obese, they actually preserve many metabolic features of lean and healthy people, including lower risks for cardiovascular disease and Type 2 diabetes, in part because they have a reduced inflammatory profile. We felt we had no choice but to pursue this amazing, accidental discovery. Does your research suggest that the different diseases associated with inflammation are linked? The ‘master regulators’ form a very limited set of proteins that share control of many diverse genes. Thus, changes to one master regulator can affect many different, apparently unrelated, diseases. By analogy, if you want to cut power quickly to numerous household appliances, you could just trip the master circuit breaker, rather than running around the house and turning off each appliance individually. Do you think that the current division of medical specialities will need to change in the future to reflect this? Yes. It will be necessary for cardiologists and endocrinologists to attend immunology meetings, for oncologists to attend endocrinology meetings, and for everyone to ‘think outside of the box’. Our research shows that many diseases such as atherosclerosis, insulin-resistant obesity, obesity-associated cancer, Type 2 diabetes and other chronic inflammatory diseases are deeply related through common mechanisms of shared networks that control chromatin. What impact do you think your research will have on controlling the inflammatory response associated with diseases such as type 2 diabetes, cancer and so forth? New BET protein inhibitors are in the pipeline in a number of research groups and pharmaceutical companies. Some of these agents, if shown to be safe and on target, might become excellent new drugs to treat problems in insulin production, insulin resistance or chronic inflammation, which often accompany obesity and exacerbate risks for obesity-associated cancers. However, these safety issues are complex and will not be straightforward to overcome. How important do you think the study of epigenetics will be in the future of medicine? Epigenetics is a critical new area of research. The Dutch ‘Hunger Winter’ of 1944 – 1945 taught us about the importance and long-lasting impact of maternal starvation, which apparently transmitted cardiometabolic risk epigenetically from the deprived, pregnant mothers to their unborn children. New research with rodent models is showing us that inflammation in the uterine environment can epigenetically reprogram the young into unhealthy metabolic patterns after birth. Therefore, proper support for maternal health and metabolism will be shown to matter all the more, and we may be able to define specific steps to protect the fetus. “Induction of epigenetic alterations by chronic inflammation and its significance on carcinogenesis.” by Niwa T, Ushijima T. Carcinogenesis Division, National Cancer Center Research Institute, Chuo-ku, Tokyo, Japan. Adv Genet. 2010;71:41-56. doi: 10.1016/B978-0-12-380864-6.00002-X. 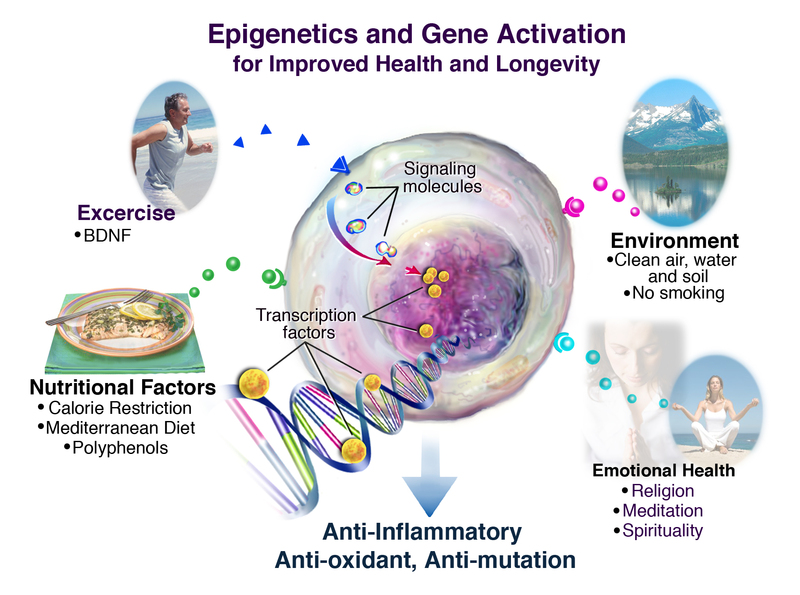 “Role of epigenetics in inflammation-associated diseases.” by Shanmugam MK, Sethi G. Department of Pharmacology, Yong Loo Lin School of Medicine, National University of Singapore. Subcell Biochem. 2012;61:627-57. doi: 10.1007/978-94-007-4525-4_27. Recognizing the importance of diet is one of the incredible gifts that epigenetics has given us. Incredible, because researchers have discovered, through pure science, that the best way to turn ON the “helpful” genes and turn OFF the “harmful” genes is through a proper diet. There has never been an intersection point in modern history where scientists and nutritionists have met with such like minds. Sure, most scientists are researching with the goal of developing a drug that will throw ON the good switches … but until those drugs are developed, the best methods they have discovered to turn on the good genes is a healthy and balanced diet, with the addition of some key supplements. Many of their recommendations are listed in the excerpts below. “Unlike behavior or stress, diet is one of the more easily studied, and therefore better understood, environmental factors in epigenetic change. The nutrients we extract from food enter metabolic pathways where they are manipulated, modified and molded into molecules the body can use. One such pathway is responsible for making methyl groups – important epigenetic tags that silence genes. Familiar nutrients like folic acid, B vitamins and SAM-e (S-Adenosyl methionine, a popular over-the-counter supplement) are key components of this methyl-making pathway. Diets high in these methyl-donating nutrients can rapidly alter gene expression, especially during early development when the epigenome is first being established. Your mother’s diet during pregnancy and what you’re fed as an infant can cause critical changes that stick with you into adulthood. Animal studies have shown that deficiency of methyl-donating folate or choline during late fetal or early postnatal development causes certain regions of the genome to be under-methylated for life. For adults, a methyl deficient diet still leads to a decrease in DNA methylation, but the changes are reversible with resumption of a normal diet. “The elasticity of our epigenome is critical for human survival. It allows us to adapt and survive in changing environments. Diet and stress play an important role in gene expression. An interesting study just came out of UMASS Medical School and was published in the journal Cell regarding diet and gene expression. The researchers concluded their study by saying even the smallest amount of food can alter gene expression. The interesting piece is that the gene regulators that were affected by nutrition in the study also play a role in maintaining human circadian rhythm, and they react very quickly to food choices. This is important to the individuals that are genetically predisposed to obesity or disease and/or making lifestyle choices that are causing negative gene expression. Everything in moderation is not the key. This is also important for those that may have a genetic disorder. “Numerous clinical, physiopathological and epidemiological studies have underlined the detrimental or beneficial role of nutritional factors in complex inflammation related disorders such as allergy, asthma, obesity, type 2 diabetes, cardiovascular disease, rheumatoid arthritis and cancer. “Looks like Mom was right. Broccoli and cauliflower are good for you. According to a recent review, they’re key ingredients in an eating plan – called the epigenetics diet – designed to fend off cancer. The epigenetics diet also includes soybeans, red grapes and green tea, foods with active ingredients that influence genes involved in the cancer process. While genetics is the study of inherited genes, epigenetics looks at changes in the activity of genes. Epigenetics investigates how environmental agents – including the foods you eat – influence which genes are turned on or off. The traditional view of cancer is that the disease is caused by damage to genes and DNA mutations. But scientists are learning that other forces – diet, stresses, toxins – have the power to change gene activity in healthy, undamaged cells and ultimately alter cancer risk. Turns out your diet has the potential to reverse negative changes to gene expression, changes that could, over time, lead to cancer as well as other diseases. The review by scientists from the University of Alabama at Birmingham outlines how specific components in foods can activate genes that suppress tumour growth and silence genes that promote cancer development. “Diet and the epigenetic (re)programming of phenotypic differences in behavior.” by Patrick O. McGowana, Michael J. Meaneya & Moshe Szyf. Brain Research. Volume 1237, 27 October 2008, Pages 12–24. A study performed by the Linus Pauling Institute at Oregon State University was showcased at the annual Experimental Biology convention. The study demonstrated how “histone modifications” can impact the expression of many degenerative diseases, ranging from cancer and heart disease to biopolar disorder and even aging itself. In a nutshell, we all have tumor suppressor genes, and these genes are capable of stopping cancer cells in their tracks. These genes are present in every cell in your body, but so are proteins called “histones.” As Dr. Jean-Pierre Issa at the M.D. Anderson Cancer Center explainsv , histones can “hug” DNA so tightly that it becomes “hidden from view for the cell.” If a tumor suppressor gene is hidden, it cannot be utilized, and in this way too much histone will “turn off” these cancer suppressors, and allow cancer cells to proliferate. Now here’s where epigenetics comes in … certain foods, such as broccoli and other cruciferous vegetables, garlic, and onions contain substances that act as histone inhibitors, which essentially block the histone, allowing your tumor suppressor genes to activate and fight cancer. By regularly consuming these foods, you are naturally supporting your body’s ability to fight tumors. So the good news is that you are in control of your genes … You can alter them on a regular basis, depending on the foods you eat, the air you breathe, and the thoughts you think. It’s your environment and lifestyle that dictates your tendency to express disease, and this new realization is set to make major waves in the future of disease prevention — including one day educating people on how to fight disease at the epigenetic level. When a disease occurs, the solution, according to epigenetic therapy, is simply to “remind” your affected cells (change its environmental instructions) of its healthy function, so they can go back to being normal cells instead of diseased cells. “Would you be more likely to try a diet and exercise regimen if you knew in advance if it would actually help you lose weight? Thanks to a report published in the June 2013 issue of The FASEB Journal, this could become a reality. In the report, scientists identify five epigenetic biomarkers in adolescents that were associated with a better weight loss at the beginning of a weight loss program. Not only could this could ultimately help predict an individual’s response to weight loss intervention, but it may offer therapeutic targets for enhancing a weight loss program’s effects. from Charles A. Moss M.D. from The National Institute on Alcohol Abuse and Alcoholism (NIAAA) “Alcohol Metabolism and Epigenetic Changes.” by Samir Zakhari, Ph.D.
“OVERWEIGHT parents are condemning their children to obesity and disease by damaging their genes with their own poor diets, scientists have found. World-first research by the Australian team has revealed that obese sweet-tooths are reprogramming the controls over their DNA, passing on fatness and associated disease to generations of the future. Scientists from the Baker IDI Heart and Diabetes Institute in Melbourne have proved that damage from unhealthy eating is “remembered” in people’s genetic controls, called epigenetics, turning off good genes needed to prevent diabetes, heart disease and other dangerous complications. Lead researcher Assam El-Osta said the discovery meant eating a chocolate will not only go straight to your hips, but will also sit on your DNA. “It is this idea that you are what you eat. Perhaps it’s a reflection of what your parents ate, and perhaps what your grandparents ate,” he said. The scientists proved that a single sugar hit, such as eating a chocolate bar, damaged the controls regulating the body’s genes for two weeks. But Professor El-Osta warned that regular poor eating meant the damage would last for months or years, and the real problems caused by an unhealthy diet were deferred until later life. After having proved the impact of high-sugar foods, the Baker IDI team is now focusing efforts to determine if high fat foods, smoking and other lifestyle-related factors also cause long-term damage to genetic controls, which could then be passed along family bloodlines. “If you had a Big Mac every day or a very poor diet for a month the consequences would be that you immediately put on weight, but long-term complications are that very serious changes would be remembered for many months or even years,” Professor El-Osta said. The discovery could explain why some people put on weight or become sick after eating junk food more than others. from “Epigenetics: A New Bridge between Nutrition and Health.” by Sang-Woon Choi and Simonetta Friso. 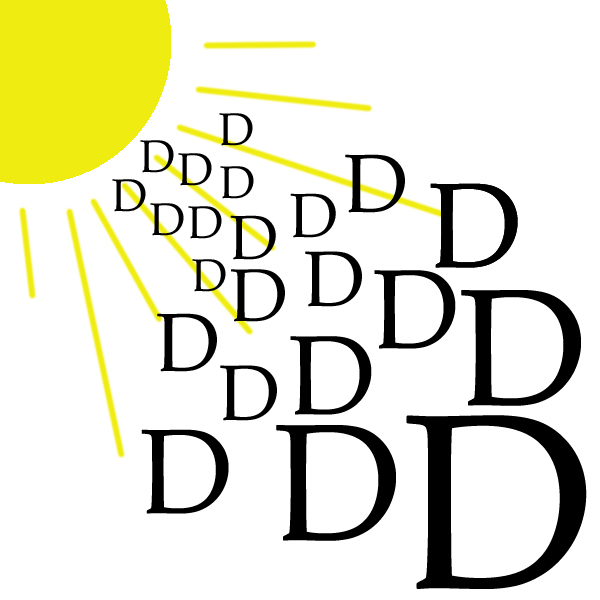 doi: 10.3945/​an.110.1004. Adv Nutr vol. 1: 8-16, 2010. “In the last decade, epigenetics has become one of the hottest topics in science. For example, the body has a set of machinery for processing carbohydrates and different a set of machinery for processing fat. If a person eats mostly carbohydrates, the carbohydrate-processing machinery will be up-regulated and the fat-processing machinery will be down-regulated. If the person switched to a high fat, low carbohydrate diet, they would likely feel sluggish for a few days. They might feel sugar cravings because their body is not yet adapted for using fat as the main fuel source. After a few days, their body would up-regulate the fat-processing machinery and down-regulate the carbohydrate-processing machinery. At that point, they would have adapted to new diet and become efficient at processing fat for fuel. “If you’re keen to look after your epigenome, then you could try munching on foods that provide the building blocks for methylation in the body. For example, leaf vegetables, peas and beans, sunflower seeds and liver are good sources of folic acid, as are fortified bread and breakfast cereals. Choline comes from eggs, lettuce, peanuts and liver (again! My mother was right after all). “New research in human volunteers has shown that molecular changes to our genes, known as epigenetic marks, are driven mainly by ageing but are also affected by what we eat. Researchers from the Institute of Food Research led by Dr Nigel Belshaw, working with Prof John Mathers and colleagues from Newcastle University, examined the cells lining the gut wall from volunteers attending colonoscopy clinic. The study volunteers were free from cancer or inflammatory bowel disease and consumed their usual diet without any supplements. The researchers looked for specific epigenetic modifications of the volunteers’ genes that have been associated with the earliest signs of the onset of bowel cancer – an age-related disease. Scientists say compounds in vegetables can prevent and even reverse cancer, in what they call an ‘epigenetics’ diet. The researchers say the diet is easily attainable and can prevent aging related diseases and lead to healthier “lives. Investigators from the University of Alabama at Birmingham explain epigenetics is the study of how gene expression changes over time, leading to cancer and other diseases including Alzheimer’s. In a study review, published in the journal Clinical Epigenetics, the scientists found compounds in vegetables have been identified from global studies, showing vegetable compounds can help prevent potentially debilitating diseases and boost protection from cancer. “An Epigenetics Diet is a daily diet that includes foods that turn on or off a gene’s natural defenses to these cancers and age-related diseases. Vegetables such as broccoli and cabbage are part of the Epigenetics Diet, as are soybeans, cauliflower, green tea, fava beans, kale, grapes and the spice turmeric. “Scientists are now making specific, actionable discoveries in epigenetics. This week, for instance, researchers are reporting that eating leafy green vegetables, folate (found in these veggies as well as in some fruits and in dried beans and peas), and multivitamins can affect the epigenetics of genes involved in lung cancer in a way that could reduce the risk of getting the disease, especially from smoking. As Steven Belinsky of the Lovelace Respiratory Research Institute in Albuquerque and his team describe in a new paper posted online in the journal Cancer Research, they found that eating a lot of leafy green vegetables, folate, and taking multivitamins containing vitamin C, carotenoids, lutein, folic acid, and vitamins A and K was strongly associated with lower methylation of these cancer-related genes. 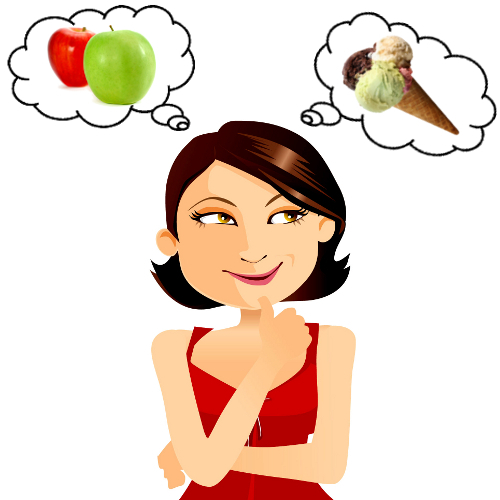 Researchers have found that not only does DIET turn different genetic switches ON and OFF, but so do other ENVIRONMENTAL and LIFESTYLE factors including stress, atmospheric conditions, mood, behavior, amount of nurturing received, artistic endeavors etc. Scientists say epigenetic signatures might someday be used to predict people’s risk of developing disease. Such patterns also might aid clinicians in diagnosing certain conditions, including psychiatric disorders, earlier or more accurately than by relying on observable symptoms alone. In a recent study, Dr. Essex and her colleagues examined epigenetic markers on the DNA of 109 teenagers who had been observed since birth. DNA was collected from cheek swabs and analyzed for the presence of a group of chemicals known as the methyl group. When attached to DNA in a process called methylation, these substances appear to suppress the action of a gene. Increased methylation of DNA is associated with a variety of negative outcomes, some studies show. In the study, teens whose mothers reported significant stress during pregnancy, such as depression or marital conflict, had substantially more methylation than teens whose mothers reported low stress. This suggests mothers’ stress might affect their children even into their teen years, says Dr. Essex. The work was published in September in the journal Child Development. “The study of epigenetics is “booming,” says Dana Dolinoy, a toxicologist at the University of Michigan School of Public Health in Ann Arbor. The chemicals that make up epigenetic codes ultimately come from diet. 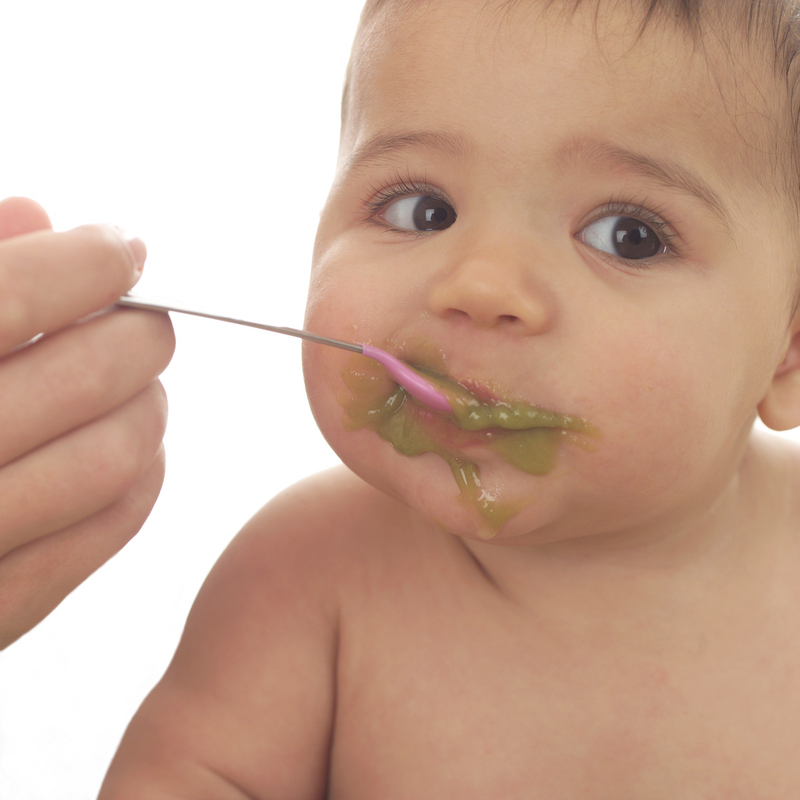 Folic acid, for example, is needed to produce epigenetic molecules that turn off many unwanted genes. 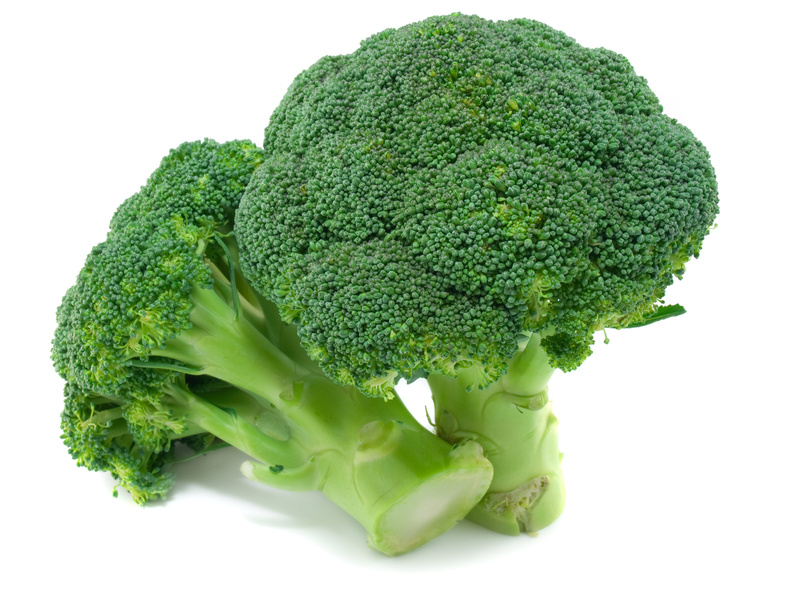 Broccoli and garlic are good sources of other types of chemical tags that are part of the epigenome. The epigenome can also be altered after a person is born. For example, researchers from McGill University and the Douglas Mental Health University Institute in Montreal found that child abuse can affect DNA referees. In a 2009 paper in the journal Nature Neuroscience, the authors report that 12 people who were abused as children, and later committed suicide, had different DNA referees on a gene needed to cope with stress, compared with 24 people who were not abused. The research implies, although in no way proves, that diminished ability to cope with stress might have been a factor in the suicides. Genes are not just “on” or “off.” They can be on just a little bit, on a lot and everything in between. So referees, both the short-term and long-term types, tune genes up or down, rather like the dimmer switch for a lamp. And many genes can be turned up or down by changes in behavior and environment. For example, researchers at the Preventive Medicine Research Institute in Sausalito, Calif., studied 30 men with prostate cancer. These men declined traditional medical treatment and instead underwent a three-month program that included a healthy diet, moderate exercise and daily stress management. When the researchers examined gene activity in the men’s prostate biopsy samples, they found that 48 genes were turned up and 453 were turned down, compared with gene activity at the beginning of the study. They also suggested that similar changes might happen in healthy people too, when they alter their behavior. “We have revealed that molecular switches activate protein gears, which, in turn, move, and generate behavior. 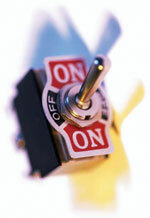 Now the big question concerning the secret of life is, “Who or what turns on the switch? To turn the switch, we introduce… the signal. A signal from the cell’s environment puts the gears, motor, switch, and gauge into motion. The Signal: Signals represent environmental forces that switch on the motor within a cell and cause protein gears to move. Signals represent both physical and energetic information that comprise the world in which we live. The air we breathe, the food we eat, the people we touch, even the news we hear – all represent environmental signals that activate protein movement and generate behavior. Consequently, when we use the term environment in our discussion, we mean everything from the edge of our own skin to the edge of the Universe. This is environment in the truly large sense. What caused this increase? 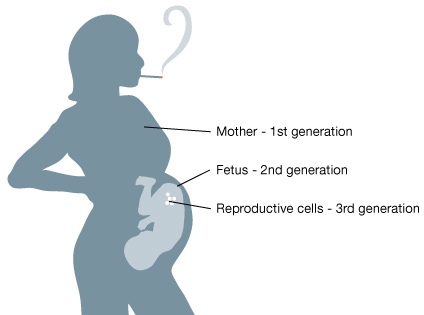 The researchers at the University of Southern California believe it is that nasty tobacco that changes your epigenetic switches during embryonic development. What’s the plus side of this discovery? Scientists have been able to manipulate the epigenetic markers in their labs, meaning that drugs can be designed to treat genetic diseases that have no cures (Cloud, 2010). 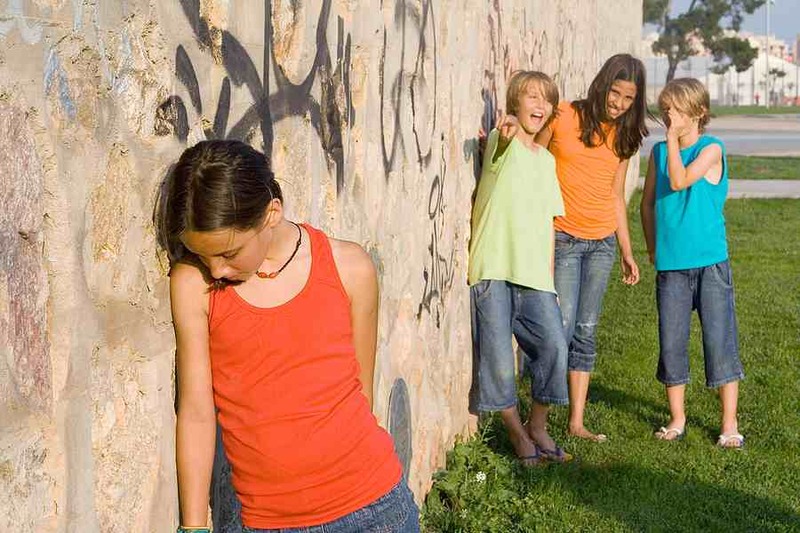 They observed increased DNA methylation of SERT, a serotonin transporter gene, while comparing a bullied identical twin to their ‘more popular’, non-bullied (discordant) twin. The twin with increased SERT methylation also showed a decreased cortisol response. Decreased cortisol responses have been previously linked to a poor stress coping strategies and are believed to play a role in many mental disorders. “It is now generally accepted that personal experience can change our genes. If you practise music for six hours a day and become a great musician, your brain will show recognisable changes both in large-scale anatomy and genetically. London cabbies have “knowledge” – enhanced regions of the brain that start to recede when they retire. The chemical processes that alter the genes in epigenesis – methylation and deacetylation of the packaging proteins of the genes, the histones – are fairly well understood. 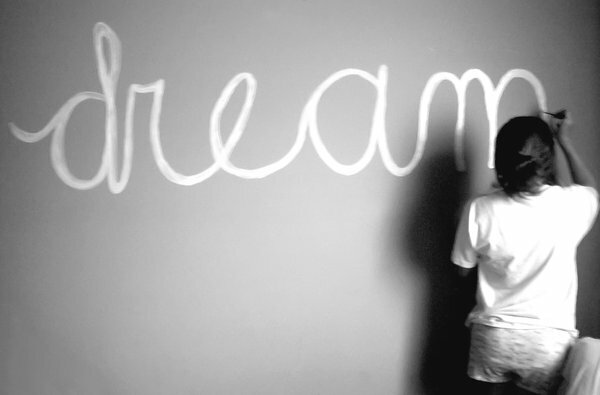 It’s kind of dreamlike isn’t is? The fact that we have these genetic switches that can be turned on and off, and WE’RE the ones that are in control of the settings is both exhilarating and frightening. We are in the fortunate position of being able to watch from the sidelines as major breakthroughs in epigenetics continue to pour in. As a sufferer of Restless Legs Syndrome, the cause and mechanics of your condition should become clearer as these new discoveries are announced. Researchers, in the not too distant future, will hopefully be able to determine which switches are turned “ON” and which switches are turned “OFF” for those that suffer from Restless Legs Syndrome.